If you’ve been following our podcast, you already know that we are readers. We love to talk about our favorite books and we share them in our posts. This week, we are sharing them for real. We are giving away six of our favorite books! This giveaway is for US residents only (sorry!). The winner will be announced on Monday, August 22, 2016. You can enter below. Good luck! Love your gals podcasts, always encouraging and a great give away, love books! I really hope I win! I love your book club! It’s a great way to find new books and a reminder of some I’ve forgotten about. Thank you. love your podcasts — it’s like sitting and chatting with friends! What a great set of books! What a delightful set of books! Very interesting reading there! Thanks for opportunity! Newbie here, looking forward to listening! I saw the book Last Child in the Woods this summer and really wanted to get it, but I wasn’t able to. I was blessed to have been homeschooled as a child/teen, and additionally to have been raised in the country. I love nature, and I’m so thankful my parents let me roam the woods and fields around our home! I want to give that same gift to my own children. What fantastic books! There is a lot of wisdom and encouragement between those pages. Your blog is so encouraging. I have a slowly unfolding reader, and understand the frustration with other people’s goals set for children regardless of their individual skill. I’d rather be full of chocolate than righteous indignation any day. These books look like they would be so helpful to read! 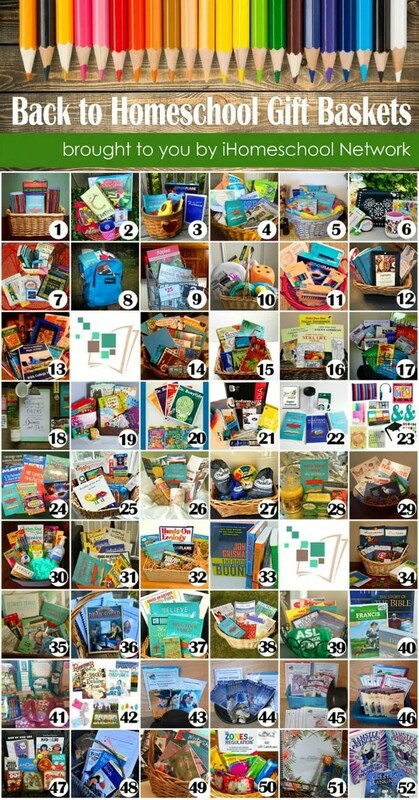 I would love to win some great books! These all look like great reads! awesome giveaway!! 🙂 I think we’d all be kindred spirits, I already have 3 of those 6, but know some lovely families that would enjoy them, too. Can’t wait to use Kara’s History ebook for some of our socials this year! The books look great. Thanks! Awesome giveaway! They sound like interesting books! This is by far the best homeschool podcast out there! Thank you so much for the giveaway! Found you through your podcasts and love them!! And now your blogs and I’m a little worried I might have reached stalker status now that I’m all over your pinterest boards. But then you told me to… so maybe I’m not really at stalking status? Maybe. Either way – enjoying all the inspiration and mostly the calmness and permission to just be us and not a slave to the curriculum. I am just starting my third year and have been fighting the guilt of not sticking with our curriculum choices since we paid good money for it and they’re the experts and all that. Plus I’m kind of a rule follower. It never occurred to me that I could skip parts of the curriculum and my kids will not end up living in my basement eating cheetos when they’re in their 30’s, right? Or am I the only one with that fear? Made sure we bought a house withOUT a basement actually. Yeah ok. I know I’m rambling and you just wanted a comment not a freaking soliloquy, so ending here with another huge THANK YOU!!!!!! Your message made us smile, Deneen! So happy to have connected with you! Last Child in the Woods is a great read! I haven’t read the rest, but it looks like I might need to. 😉 Thanks for the awesome giveaway! History Mysteries looks so good! I need to re-read Simplicity Parenting with a highlighter in hand. I haven’t read any of these… would love to win! What a wonderful giveaway! We would love to win! Such a great collection here!! I need them all! These would be great books to add to our homeschool library. Thanks for the wonderful giveaway and for the chance to win them. Really neat books to read for homeschooling! I love to read! These books look very interesting! Thanks for the giveaway! These resources look wonderful! Especially, Simplicity Parenting. I am constantly checking these books out from the library! I love finding new sites thru this! Going to have to check out the podcasts! I’d love to win this basket! Wonderful giveaway. Great selection of books! I am so excited I found this blog post and have now discovered your podcast! Looking forward to learning more with y’all! What a great group of books! Great give-away. I love those books, too, but don’t own them all! I’d love to win these books! Thanks for the giveaway! I have recently found you podcast and I love it!!! You two crack me up and are so encouraging! Thank you so much for the giveaway!